RITMSCENAR Sport is one of the most popular models of the personal devices produces by OKB RITM ZAO (Russia). 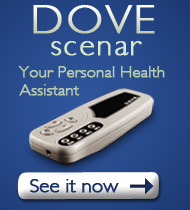 It provides a large set of functions that allows the user to explore all potentials of SCENAR-therapy. 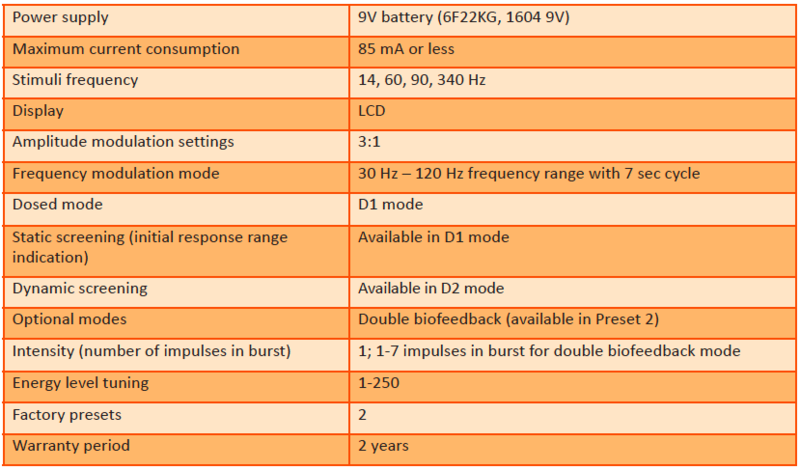 As compared with the basic version, RITMSCENAR Sport’s functionality is extended to include an option to select one of four frequencies (14, 60, 90 and 340 Hz). RITMSCENAR Sport has proved its advantages when used in sport (before and after exercise, as well as in post injury rehabilitation). 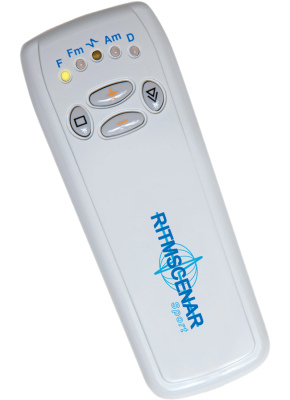 RITMSCENAR Sport is an easy to use, portable SCENAR device for pain relief and improvement of functions. RITMSCENAR Sport supports four Frequencies – 14Hz, 60Hz, 90Hz and 340Hz, suitable for treating degenerative processes (low frequencies) or inflammatory processes in acute state (high frequencies). Amplitude Modulation is fixed to 3:1 and is very effective for treating pain in muscles and ligaments. 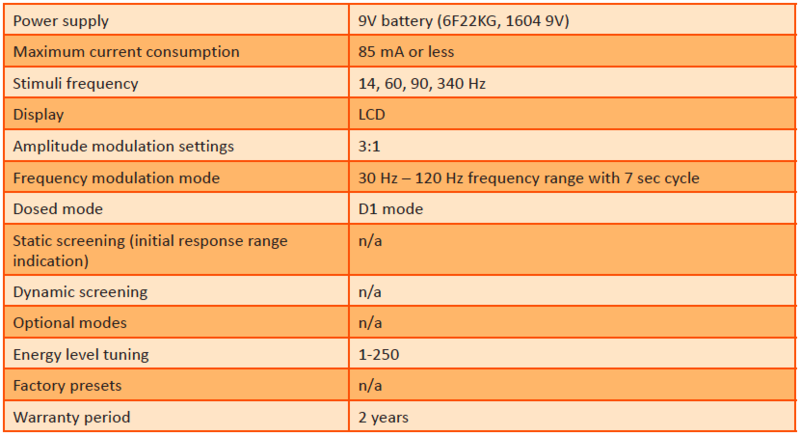 RITMSCENAR Sport also supports Frequency Modulation in the range of 30Hz to 120Hz. This setting is commonly used to create a change in the painful condition. RITMSCENAR Sport supports one auto mode called Dose Mode. In this Mode the device will deliver an individual measured stimulation according to the body response to the impulse. With the RITMSCENAR Sport, active people and sport professionals can easily manage pain, reduce trauma downtime, and speed up the rehabilitation processes from injury or surgery. RITMSCENAR™ range of Personal devices – Home Expert, Sport and Sport D, are electrotherapy devices with built-in electrodes that deliver complex electrical impulses through the skin for fast and effective pain relief. RITMSCENAR Sport D is designed for home users to manage their pain and to speed up the recovery process from acute and chronic pain, sport injury and post operative pain. RITMSCENAR Sport D is a “sister device” of the RITMSCENAR Sport, where the light-diode indication is replaced with a liquid-crystal display. 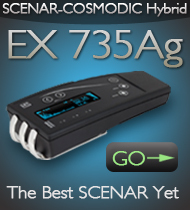 RITMSCENAR Sport D is the newest model in the personal SCENAR devices family. It is identical to the RITMSCENAR Sport model in functions, but equipped with an LCD screen. The small screen displays energy level, current settings, and skin contact indication, which makes the device very easy to use and operate. RITMSCENAR Sport D supports four impulse Frequencies – 14Hz, 60Hz, 90Hz and 340Hz, suitable for treating degenerative processes (low frequencies) or inflammatory processes in acute state (high frequencies). 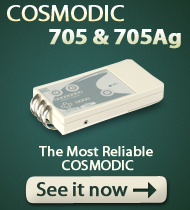 Amplitude Modulation is fixed to 3:1 and is very effective in the treatment of pain in muscles and ligaments. RITMSCENAR Sport D also supports Frequency Modulation in the range of 30Hz to 120Hz. This setting is commonly used to create a change in the painful condition. RITMSCENAR Sport D supports one auto mode called Dose Mode. In this Mode the device will deliver an individual measured stimulation according to the body response to the impulse. RITMSCENAR Sport D can be used as a stand alone independent treatment tool, but it is also very complementary when used in combination with other treatment modalities. RITMSCENAR Home Expert is the next generation of RITMSCENAR personal devices, the most advanced version with a liquid-crystal display. The external view is the same, but the functionality is extended by adding two preset modes: for acute and for sub-acute and chronic conditions. The device provides assessment screening in two modes: D1 finds active points by placing the device step-by-step within the selected area while in D2 you can do it by moving the device along the skin surface without pauses. 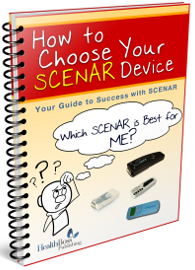 RITMSCENAR Home Expert is the most advanced model in the Personal RITMSCENAR devices range – and yet, it is easy to use and requires minimum training. 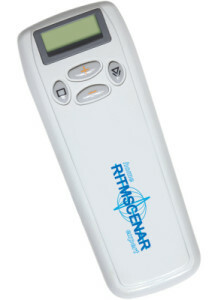 RITMSCENAR Home Expert offers four impulse Frequencies – 14Hz, 60Hz, 90Hz and 340Hz, suitable for treating degenerative processes (low frequencies) or inflammatory processes in acute state (high frequencies). Amplitude Modulation is set for 3:1 and is very effective for treating pain in muscles and ligaments. 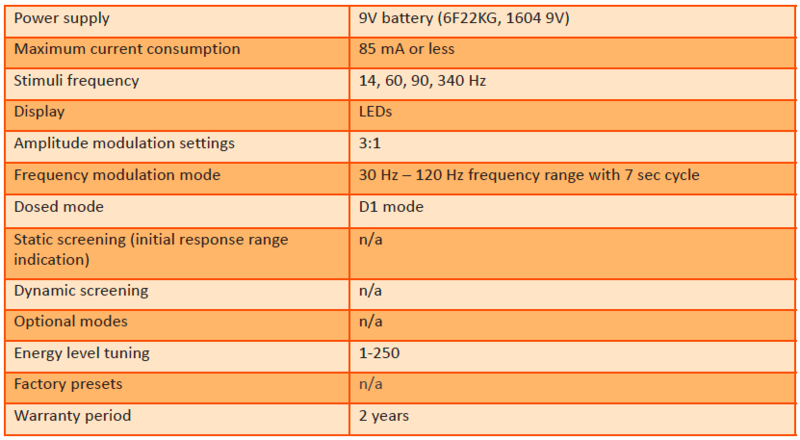 RITMSCENAR Home Expert supports Frequency Modulation in the range of 30Hz to 120Hz. This setting is commonly used to create a change in the painful condition. 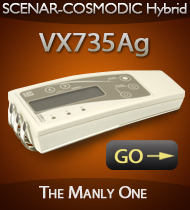 The device offers two Presets (device settings are pre-programmed for optimal performance): for acute conditions and for sub-acute and chronic processes. Double feedback is available in Preset 2, with optional regulation of Intensity. 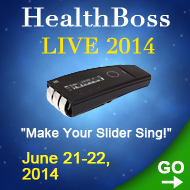 RITMSCENAR Home Expert supports one auto mode called Dose Mode. In this Mode the device will deliver an individual measured stimulation according to the body response to the impulse. RITMSCENAR Home Expert provides for assessment screening in two modes: static screening in D1 (step-by-step) and dynamic screening in D2 (in motion). 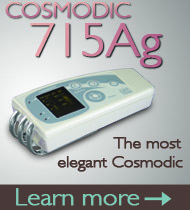 This model is designed for personal use and for support during professional RITMSCENAR treatments. If you would like to optimize your experience with your Personal RITMSCENAR device and let it do for you all it is capable of, you need TRAINING. We highly recommend ONLINE Training Courses for Home RITMSCENAR users created by RITMSCENAR Australia. 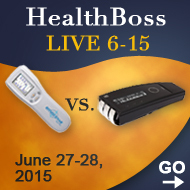 Their virtual training provides you with an easy and efficient learning experience.